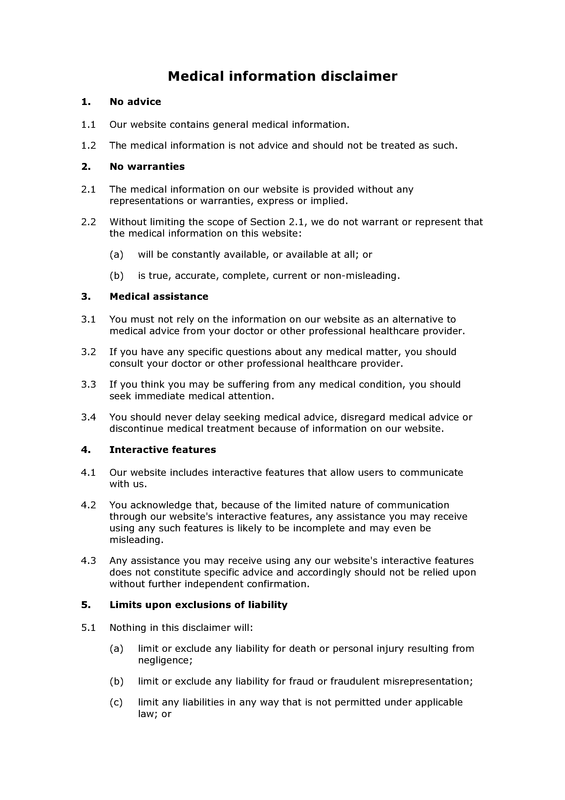 This short medical disclaimer is designed for use on or in relation to websites that publish medical information. It can be used as an independent document, or incorporated into your website T&Cs or another website legal notice. This document should be used with care. Obviously, erroneous medical information has the potential to cause great harm. This is a general disclaimer, and accordingly it does not take account of any particular risks that may be associated with the particular medical information on a particular website. In some circumstances, disclaimers of liability will not be enforceable. Enforceability will depend not just upon the terms of the disclaimer, but also upon the circumstances in which its terms are applied. No advice: website contains general information; information is not advice. No warranties: no representations or warranties in relation to information; no warranties in relation to availability or accuracy etc of information. Medical assistance: medical information not alternative to advice; consult healthcare provider regarding specific medical questions; seek immediate attention for medical conditions; no delaying medical advice etc. 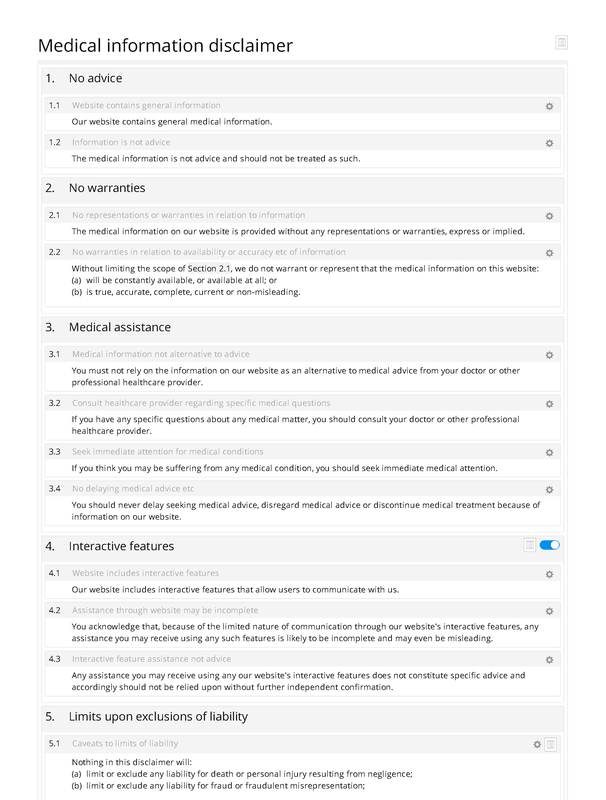 Interactive features: website includes interactive features; assistance through website may be incomplete; interactive feature assistance not advice.